Beautiful Destin, Florida is famous for its sparkling surf and sandy white beaches. The natural tropical beauty of Destin’s shores and abundant sunshine rolls right into a hopping nightlife of music and fun after the sun goes down. The nightclubs in Destin offer a wide array of entertainment, food and drinks. 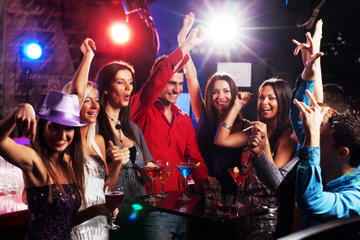 We’ve compiled a list of three of the best spots for nightlife in Destin. Located at the Village of Baytowne Wharf, Fat Tuesday’s serves up a large assortment of tasty New Orleans based daiquiri’s and frozen concoctions. A menu of nachos, wings and other finger foods can be washed down with a wild Banana Banshee or tempting Tropical Itch frozen drink. Sports fans can enjoy the action on TV while playing video games with other patrons. There is something for everyone at Rum Runners bar. They open up early for the lunch crowd to grab a bite and icy drink. Live music is in the house every night with the Dueling Piano Players keeping people hopping with six decades of songs. There is outdoor patio and deck seating, and the sports bar gives the jocks in the crowd a place to go cheer on their team. Hit the dance floor or sing along with the band. An extensive menu includes salads, seafood, steaks, frozen drinks and a choice of wines. While you may not be actually sitting on the dock of the bay, Hammerhead’s Bar & Grille is located right on the water and provides some of the best sunset views in Destin. Specializing in seafood served a variety of ways, the menu also includes burgers and selections for the kids. The open grill will make your mouth water and lips smack as you enjoy that frosty beer while anticipating a great meal of oysters or crab. Live music is also served up at this casual bar located in the Sandestin resort. After soaking up the fantastic nightlife in Destin, you can return to your beautiful suite in the Henderson Park Inn. With turn-down service, complimentary wine and grapes, and balconies overlooking the Gulf of Mexico, our rooms are romantic and luxurious. Visit our Contact page to send us an email or call us at 866-398-4432. We look forward to hearing from you!